RockVue is a luxury garden-style community in Broomfield, Colorado, offering the amenities of a large urban community with a boutique feel. 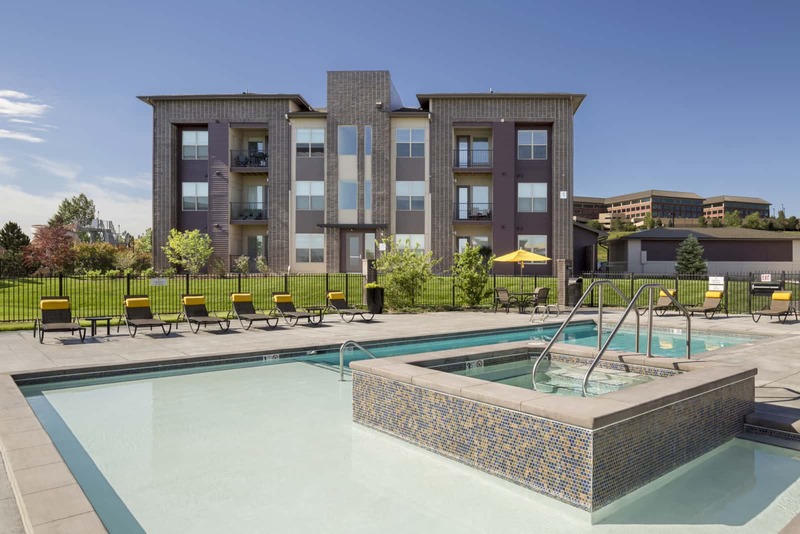 Located in the heart of greater Denver’s thriving northwest corridor, RockVue boasts a desirable suburban location with access to retail, dining, and employment opportunities. Situated between Denver and Boulder and close to the major technology hub, Interlocken Business Park, the property is complemented by spectacular views of the Flatirons to the west and convenient to the Rocky Mountain’s regional trail system and the FlatIron Crossing mall. The project’s 220 units offer open floorplans and large windows allowing plenty of natural light. Each unit is appointed with stainless steel appliances, quartz countertops, modern cabinetry, kitchen islands with pendant lighting, full-size washers and dryers, wood-style flooring, and large balconies. Private garages are also available. RockVue offers a generous amenity package featuring a resort-style pool and spa deck with outdoor fireplace, kitchen area, and BBQs. 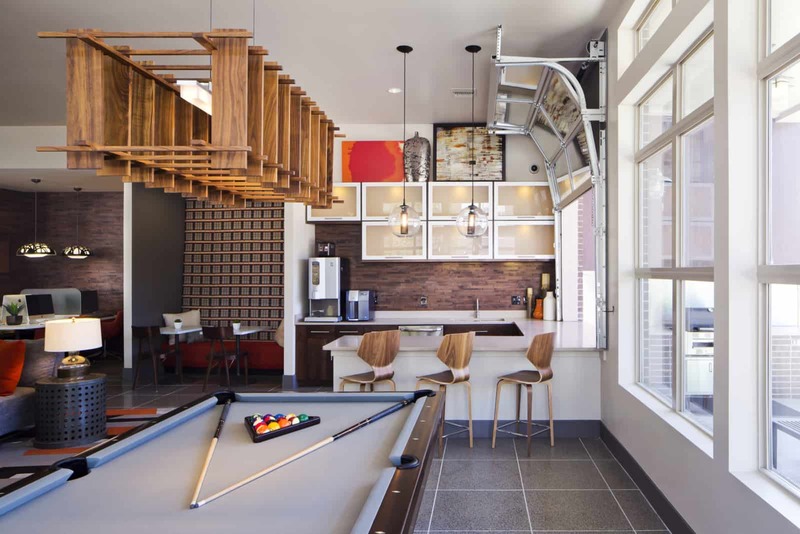 The clubhouse includes a state-of-the-art fitness center, billiards room with TVs and comfortable seating, a cyber café, and a gear repair shop for bikes, skis, snowboards, and other outdoor gear. Additionally, the property has an on-site pet grooming station and enclosed dog park.